Sacramento Laundry required additional transportation capacity to handle the increased volume of its new 60,000-square-foot laundry facility. This meant reliable access to trucks, some of which average 450 miles per day. The trucks needed to be spec’d to fit the special size of loading docks at hotels. 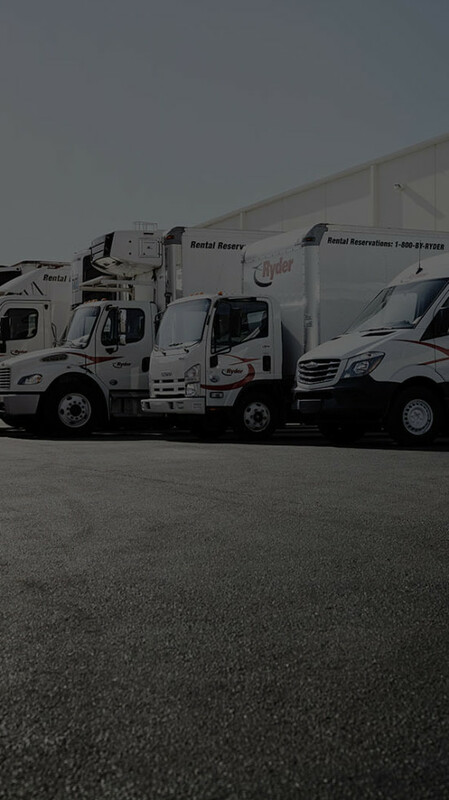 The company started by renting a fleet of four new Ryder vehicles and began upgrading their rentals to leases, securing their favored trucks full time and realizing even great savings. Sacramento Laundry and Ryder. Faster, Smarter, Cleaner, Together. Sometimes in business, in the best of cases, reality can exceed your own dreams of success. Take the case of Julia and Keith Pooler, a true American success story. In 1999, the husband-and-wife team took a chance on themselves, using their retirement savings to buy a coin-operated laundry in Sacramento, Calif. Fifteen years later, a tenacious work and customer-first approach would allow them to expand to five additional locations. To keep all those washing machines full, the couple would add a new service: a small pick-up and delivery service, handling linens and towels for businesses. And that’s when lightning struck. Based on positive word-of-mouth, an area hotel chain approached the Poolers to handle all of their daily linen services. Suddenly, with just one phone call, the Poolers’ small business, Sacramento Laundry Co. Inc., wasn’t so small. But then, the phone rang again—another hotel wanted their services. And then another. And then another. In seemingly the blink of an eye, a two-person business found itself moving into a 60,000-square-foot, state-of-the-art, multimillion-dollar facility, and bulking up to 170 employees, with a team of 23 drivers for its fleet of pick-up and delivery vans. Yes, the American Dream is alive and well in northern California at Sacramento Laundry. Now, for the Poolers’ next act: keep delivering on clients’ giant—and growing—expectations. Sacramento Laundry required additional transportation capacity to handle the increased volume of its new 60,000-square-foot laundry facility, particularly for large hotel customers. This meant reliable access to trucks, some of which average 450 miles per day. What’s more, the trucks needed to be spec’d to fit the special size of loading docks at hotels. Not to be forgotten, the trucks needed to be cost-effective, as the company had just incurred a major capital outlay in its expansion. The company started by renting a fleet of four new Ryder vehicles in 2012. Each of the 28-foot box vans rented met specific business requirements, including being: California emissions-compliant, the right size to fit in underground hotel parking structures, equipped with special lift gates, and cost-effective. In 2014, Sacramento Laundry began upgrading their rentals to leases, securing their favored trucks full time and realizing even greater savings. What’s more, with hotel clients counting on Sacramento Laundry to deliver each day— no excuses—Sacramento Laundry also relied on Ryder for fast-turnaround servicing and 24 hour emergency help to keep their business up and running.